Summertime can bring an unexpected spike to your water bill. The hottest months of the year typically lead to doing more laundry, watering the lawn more often, and using the shower more frequently than you might in the colder months. While you may not be aware of a change in your water usage, your water bill will reveal otherwise. Here are some tips to help you lower your water bill during the summer. With hot days of summer still ahead of us, you may be wondering how you can cut back on any water usage and lower your water bill. While taking fewer showers may not be an option, there are many other ways you can reduce the amount of water you are using during the summer. When cutting the grass, keep the grass clippings and use them as mulch rather than removing them after mowing. When left on the lawn, the grass clippings will help your grass retain moisture better and your lawn will not require as much watering. The summer sun can be drying to your lawn, so you may be tempted to water more frequently. Remember that grass only needs one inch of water per week. That water will go a long way if you water your lawn in the early morning hours before the sun heats up and evaporates the moisture. To protect your soil and reduce your watering, incorporate gravel in your landscaping so that you have less area to water. 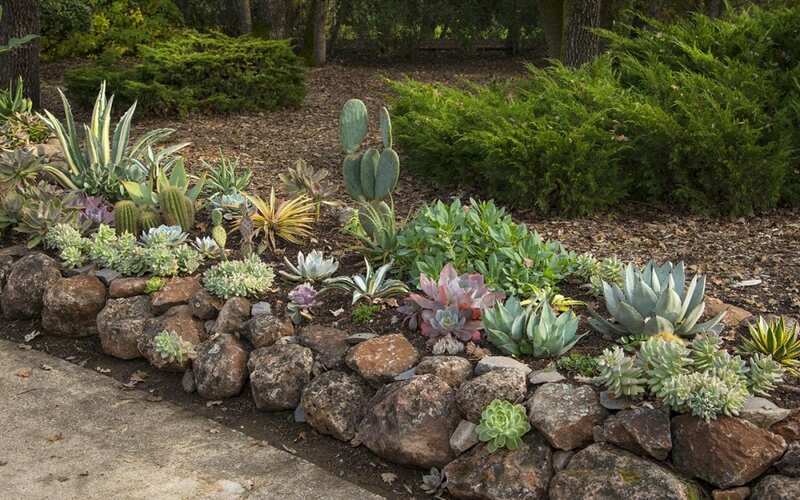 With gravel landscaping, you’ll be able to significantly cut back on your waterings. By choosing drought-resistant greenery for your landscaping, you can keep your yard looking green and vibrant and use much less water. Checking for toilet leaks can also help you reduce your water bill. Drop a few beads of red food coloring inside your toilet tank to check for any leaks. If you see the red dye coming into the bowl, you may have a leaky gasket. Any toilet with a leaky gasket can cost you upwards of 1000 gallons each month in wasted water. Modern toilets are made to use less than 1.6 gallons a flush. Many homes still have older models that use up to seven gallons. By replacing your old toilet with an efficient one, you’ll be able to cut back on the amount of water used. The upfront cost of purchasing a new toilet will eventually pay for itself in lower water bills. Typically, the sink disposal should be used to flush out the waste in your sink. However, running your disposal for 30 seconds or more with the water running can waste up to a gallon of water. Instead of using your disposal, consider composting. Whether you put your kitchen scraps in your DIY compost pile or set them aside to be thrown out with the trash, keeping these scraps out of the sink will help you cut down on wasted water. Committing to lower your water bill during the summer takes a bit of planning and ingenuity, but is worth those extra dollars saved. Use these five tips to help you reduce your water bill and avoid any wasted water during the hottest months this year. Home Guard Inspections serves Bismarck-Mandan and the surrounding area with home inspection services. Contact us to book your appointment.